Manlon Polymers - Nylon tubing / polyurethane tubes / flexible coolant pipe/Spiral Cables, etc. manufacturer- is an engineering plastics processing unit. We process different types of engineering plastics mainly Nylon-6, Nylon 66, Nylon-12, TPE, PE, PP and Polyurethane. 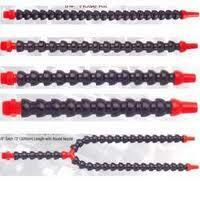 We carry out plastic extrusion as well as molding at Ahmedabad, INDIA since last 30-yrs. MANLON - Spiral Cables are manufactured in various Wire Sizes : 0.15 to 2.5 Sq mm and more; Core : 1,2 to 26 Core ; Expandable (Working) length : up to 10 mtrs. Single core Earthing Spiral Cables are made up to 35 sq mm.Customized spiral cables & cords are also manufactured and supplied. MANLON - Spiral Cables offer a longer life than typical linear cables during equipment movement operation. 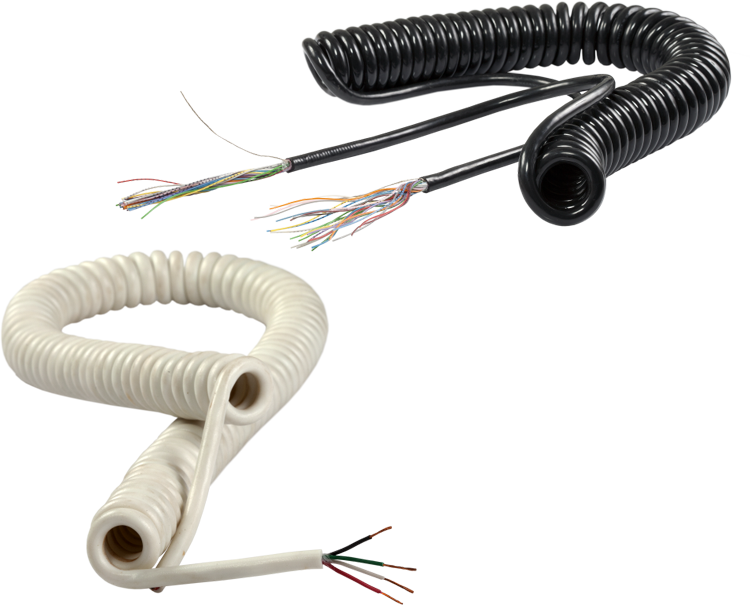 Ask for MANLON - MPG spiral cables upto 25-cores. - Sensor cables for Medical equipments, Road equipments, CNC m/c, etc. - Vacuum lifting equipments, Movable Motors, Cranes, etc. - Architectural, Workshop tables, etc.